We spent 6 days in DC and rented this property. Plenty of space for 2 couples. 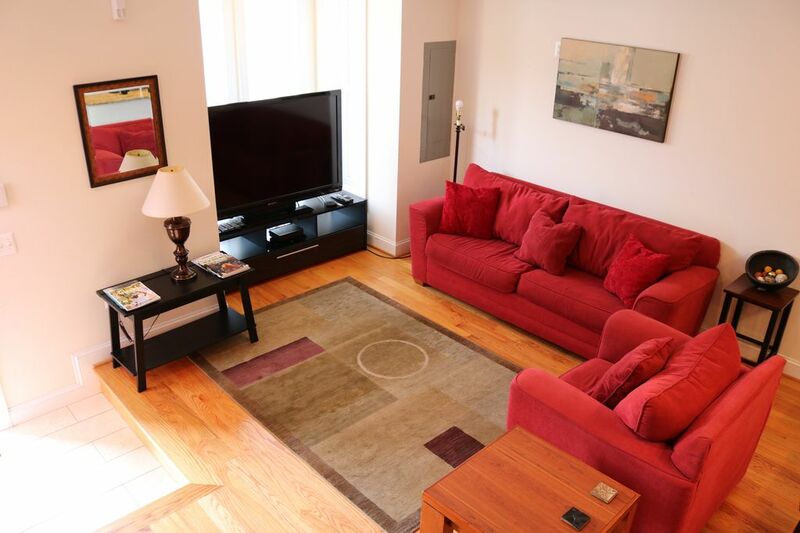 Location was convenient to downtown and Union Station (metro). We Uber’d every where we went but parking is very tight if available along the street. We used the Safeway grocery delivery (Peapod) as recommended by the owner and scheduled our groceries which was very convenient. There were several steps to enter and several steps to bed/bathrooms, which was not a problem for us as we do not have limitations. The owner was very responsive and stayed in touch throughout our stay. We would stay at this property again. Great location and helpful owner. Would recommend this property due to convenience and comfort. All the conveniences of home. Give this 2 Thumbs Up!! This is our 2nd time staying here and it is always very clean and well put together. Property manager is always very responsive. Two thumbs up!!! This was a great place for our family consisting of 4 adults and 2 kids. Good location within walking distance of the Metro, Walmart, a neighborhood playground, and several restaurants. Clean and well stocked. No hot tub, tho. Street parking was fine and if not right in front of the house, then only a block away. Yared kept in touch and responded to messages. We stayed here 3 nights. The place was nice and clean and well furnished but the neighborhood is sketchy. I would not stay here again. I had my laptop computer stolen from my car in less than 60 seconds as I went back in the house to get my luggage. If you do stay here keep your car locked at ALL times.